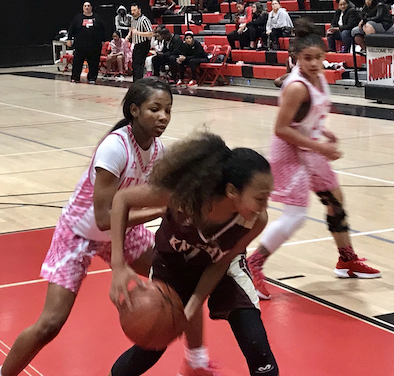 SPRING VALLEY – The Mount Miguel Matadors lined up another top five opponent for their Coaches vs. Cancer Showcase on Saturday, inviting the Bishop’s Knights to participate in their event. 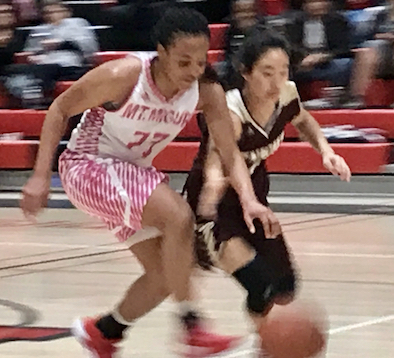 The two teams put on a tremendous show in a potential Open Division playoff preview, as the fourth-ranked Matadors outlasted the fifth-ranked visitors, 70-63 in overtime, on Saturday. Sophomore SYLENA PETERSON accepted the challenge and scored 37 points, including 5-of-6 from the foul line in overtime. Peterson made 12-of-14 foul shots in the contest. She also had nine rebounds, four assists and four steals. Senior MICHELLE CORLEY continued to step up her outside shooting with four three-pointers, including two in the fourth and one in overtime. Senior LALLI GURROLA also knocked down four three-pointers. The Matadors made 12 threes as a team. The Matadors held at 30-27 lead at halftime, then led by six entering the final stanza, but the Knights battled back to force the extra session. The Matadors outscored Bishop’s 12-5 in OT to improved to 22-5 on the season. The Grossmont Hills League champs will host Helix in their regular season finale on Friday night. 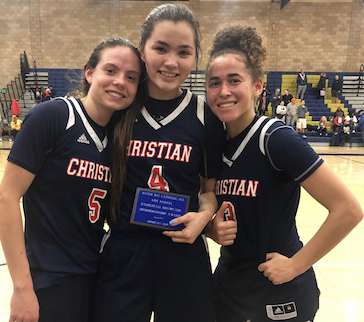 CHRISTIAN 93, MATER DEI CATHOLIC 86 – The Patriots and Crusaders played a wild contest on Saturday at the Holiday Showcase in the South Bay that went down to the final minute. It was an accomplishment with the Patriots coming off the win over Cathedral Catholic a night earlier. ALLIE CARREON scored 32 points for the Patriots, including 22 points in the second half as Christian blitzed the Crusaders for 32 points in the fourth quarter to rally. SIMONE JAMES added 22 points and KRISTIN WILLIAMS contributed 21 points. “Running track along with all the conditioning we do has definitely paid off in games,” James said of the fast-paced contest. My thought this game was to do what I do best and take advantage of my speed by attacking their bigs. YESI SMITH came home with 11 points. A 7-0 run got the Patriots back into the game after they trailed 27-20. Williams tied the game at 27-all with a three-pointer. “I think we couldn’t stop Chloe (Webb) which was our main goal,” Williams said. “But we played prety well and we got back into the game even though we were down, which is what defines us. Christian High’s KRISTIN WILLIAMS (5), YESI SMITH and game Sportsmanship Award winner ALLIE CARREON (4). Christian led 46-45 at halftime, but the Crusaders took a short 66-61 lead in the third and extended the advantage to 78-69 early in the fourth quarter. But James had a pair of field goals and Carreon canned a three-pointer to pull to within 78-76. “Our game plan consisted of knowing our personal roles in different areas, as well as knowing each of our opposing team’s personnel and what they like do, their tendencies, etcetera,” James said. “With Mater Dei, we really tried to focus on defense and controlling the tempo of the game. “I think we did a good job for the most part but we didn’t contain Chloe Webb (42 points) as well as we should have, they were easy points, all layups and two threes. “But to her credit, (she) is a very dominant player who is hard to stop in general. With Cathedral, we did a better job of making someone else on their team beat us while containing key players like Matzalan Harris, Kaleigh Stiffler, and Ise Brady. A couple of minutes later, Carreon made a field goal to make it 86-84 Patriots. James made a field goal with under a minute to go, giving Christian a 90-86 lead. Carreon added a free throw and a break away bucket for the final margin. Carreon was the recipient of the game’s Sportsmanship Award. “I could not have received that award without my teammates,” Carreon said. “They are a true blessing and keep me pushing to strive to be the best. Also, my coaches, who push me to be my best. The Patiots coaching staff suffered a scare just a few hours before the contest, according to head coach VICKIE CARRINGTON. 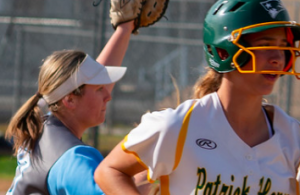 “My daughter, who is my lead assistant coach, was in a one-car accident while on her way home from SPARQ youth basketball games at Christian,” said the coach. “We live in Rancho Bernardo and the rain was pouring. She hydroplaned in the carpool lanes hit both sides of the carpool barriers. She was blessed to come out unscathed, sore but no injuries; the car will probably be totaled-out. Due to the accident, I wasn’t sure we would even be able to make it, so I had to prepare my coaches (through texts) to take over. “We have a very talented coaching staff. 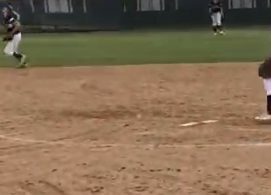 Any of our coaches could and would have done a great job, but Alejandra Moreno has a lot of experience in high-level games. She’s part of FIBA and USA Basketball, and coaches college in Tijuana, as well, and as is a top personal trainer for basketball, so I felt this would be a game she was ready for. “I also felt comfortable that my coaches on the bench – Jason VanKirk and Nadia Burks – would be vital on the bench in prepping players to come in. “Jason was great giving input to Alejandra on our personnel. Not all of My staff was there last night, but in addition, Cheryl Mueca and Darren Carrington, Sr., are all outstanding coaches. The head can’t move without the neck, I’m blessed with a terrific coaching staff. “My daughter and I made it to the last six mins of the game. It was a blessing to see that my staff kept the girls rolling. Me stepping in to finish the game wasn’t necessary, but it’s my job as head coach. The girls played with heart and purpose. They were tired, but they dug deep and refused to lose! Our girls on the bench were amazing! “The only thing I think we could have done better was clog the paint and make Chloe Webb take more mid-range shots. She’s a physical, strong and crafty player. She’s very talented and exposed the weakness in our defense. She’s going to be awesome at the next level. The Patriots will close out the season with a pair of road games , likely needing a pair of victories to secure a tie for the league title. “Both Mira Mesa and Serra have some very good players on their teams and are well coached,” Vickie Carrington said. “We can’t let up. We have to play better than we did last time we saw them. “We are gonna be in their house, so they will be fried up. Scripps Ranch stepped up and took advantage of our errors. 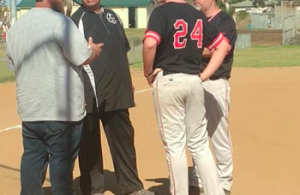 The entire Western League is talented with great coaches and players. (It is a) very tough league. We have to come to play every game. “We are playing at a high level and it’s a lot tougher than some of the girls expected. The truth is, we were hoping to have a big in the starting line up from the start of the season, as I think that’s a key component that’s missing for us. “We are talented with all guards but with incorporating the bigs we could be even better, as having a true big on the floor a majority of the game is crucial to our success. FOOTHILLS CHRISTIAN 60, CENTRAL 22 – The Knights won their matchup at the Coaches vs. Cancer Showcase game at Mount Miguel High. Foothills Christian improved to 22-6 on the season. Junior ELLIE TURK scored 25 points and added 10 assists, while sophomore teammate ARANTXA FONSECA added 15 points and 18 rebounds for the Knights. 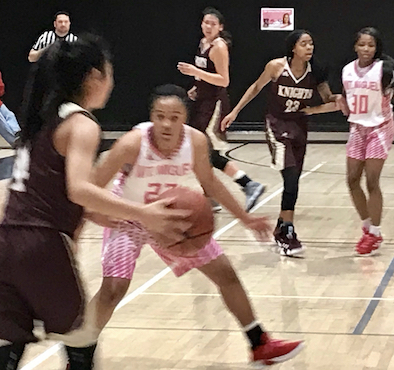 WEST HILLS 46, KEARNY 29 – The Wolf Pack earned a terrific victory over the Komets in a game at the Coaches vs. Cancer Showcast at Mount Miguel. The Wolf Pack jumped out to an 20-3 behind a couple of three-point field goals and led 27-7 at halftime. It was the fifth win of the season for the Pack. PACIFIC RIDGE 45, EL CAJON VALLEY 29 – The Firebird knocked off the Braves thanks to a 26-12 advantage in the second half. SCRIPPS RANCH 71, HELIX 48 – The Falcons rolled to victory over the Highlanders at the Holiday Showcase at Mater Dei High.